The Way of Life FREE EDITION - Relive the same life experiences from the point of view of an adult, an oldman and a child. The Way of Life DEFINITIVE EDITION - 10 Experiences, 30 Levels and more than 70 choices. Can you face yourself? The Way of Life DEFINITIVE EDITION brings you to the whole experience of the game. 10 Experiences, 30 Levels and more than 70 choices. Can you face yourself? 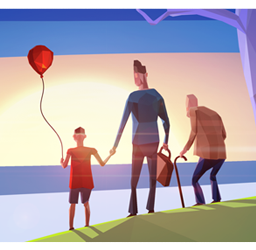 The Way of Life FREE EDITION makes the player relive the same life’s experiences from the point of view of three characters of different ages: an adult, an old man and a child. Are you a company? 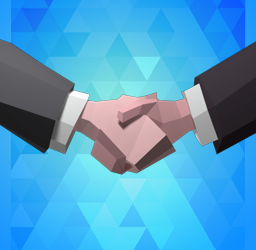 Do you want to collaborate with us? CyberCoconut is based in Milan and this is what we can do for you! What are you waiting for? CyberCoconut is a small indie Game Development Studio based on Milan. We are known for the game The Way of Life FREE EDITION, a big success game on Steam. Also, every playable character has his own specific mechanics and a way to see the world. The player throughout the game can explore and live different stories and feel a variety of emotions in an amusing and captivating experience. 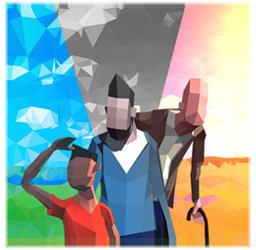 The Way of Life DEFINITIVE EDITIN will make players live several life experiences from the point of view of three characters of different ages: an adult, an old man and a child. The game’s strength is that every experience has its different gameplay mechanic, the one that makes players really feel the limits, feelings and fears of the character in every situation. The only thing in common between every character is the first person view, wich immerses the player in every character’s life. The Way of Life DEFINITIVE EDITION tells stories about several serious themes: from euthanasia to death penalty, from war to love, from defeat to discrimination, everything tied by the personal growth and the perception of reality as main themes. The player choose how to face every experience, so every playthrough can be different depending on what decisions the player took. The characters are extremely different, both visually and control related. The child see the world in vibrant colors, eager to explore it, while the adult has a narrower, grayer view except for things he really cares about. Control wise, the old man moves slowly and with a shaking camera, to simulate how a elderly moves, meanwhile the child can run and jump freely.